If you are interested in future sessions of the Electricity Workshop please click here to email us. 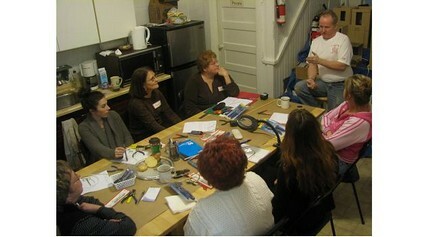 All workshops are offered here in the store with complimentary coffee and snacks. The small setting with individual attention make them ideal for miniature enthusiasts at any experience level. We don't currently have a class scheduled. If you are interested in future sessions of the Electricity Workshop please click here to email us. Learn which wires not to touch.... and more! 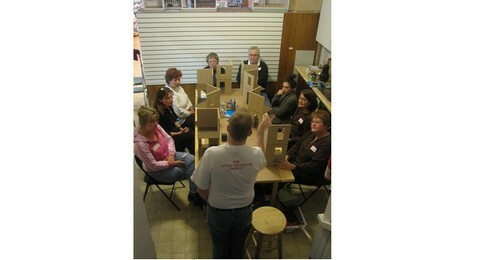 Q&A throughout the entire workshop with John Fowler, master dollhouse builder. Hands on practice with a 2 story room box that is yours to keep! Register early, maximum 8 people per class. Steel ruler, X-acto knife, small scissors, tweezers, wire strippers, needle nose pliers, pin vice and alligator clip. Please note: All supplies are available for sale in our store.